Our workshops in the school holidays were a great success! The kids all had a ball making bath bombs and so much more. Register your interest for the next workshops. Run by myself and Dr Shelley Horkings (Osteopath). The workshop is suitable for children aged 6 - 10 years, and we will be assisting them to make a flower essence blend and a gorgeous soap ball made from all natural ingredients including herbs, flowers and essential oils. When: Register your interest now and we will keep you informed. Over 1hour of fun for children aged 6-10 years. 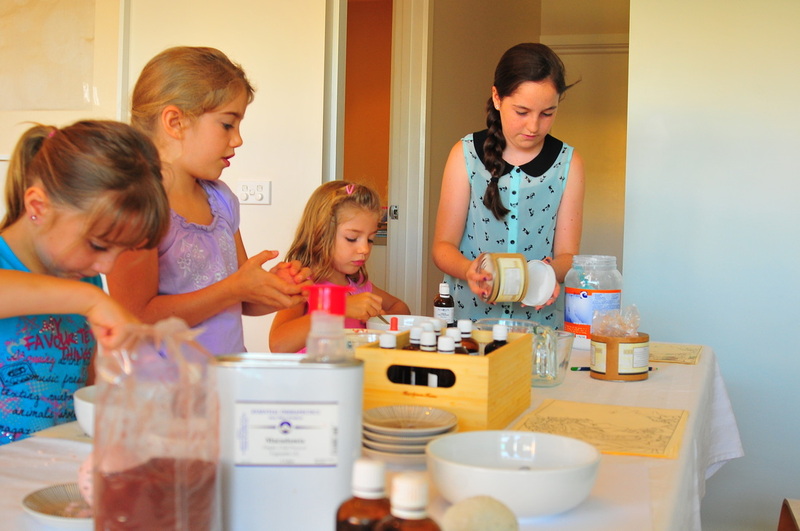 They will learn to make and take home a range natural skin friendly bath products. Individual selection of flower essences. Would you like to send your kids off to school with a healthier lunch box? Not quite sure how to make the changes? What your child eats and drinks during the day at school or childcare has a huge influence on how easily they pay attention, learn and play. day and give them the nutrition needed for active learning & play. Register your interest for our next workshop.